For anyone who isn’t doing one of the charity rides, we have a couple of suggestions for this Sunday. This is a reverse of the big 62 mile loop around Luton and Leighton Buzzard that we did a few weeks back. We will be leaving at 8am and the pace is likely to be swift. Just in case there is anyone who doesn’t fancy an early start, and is not doing the charity ride, here is a route for a 10am start. 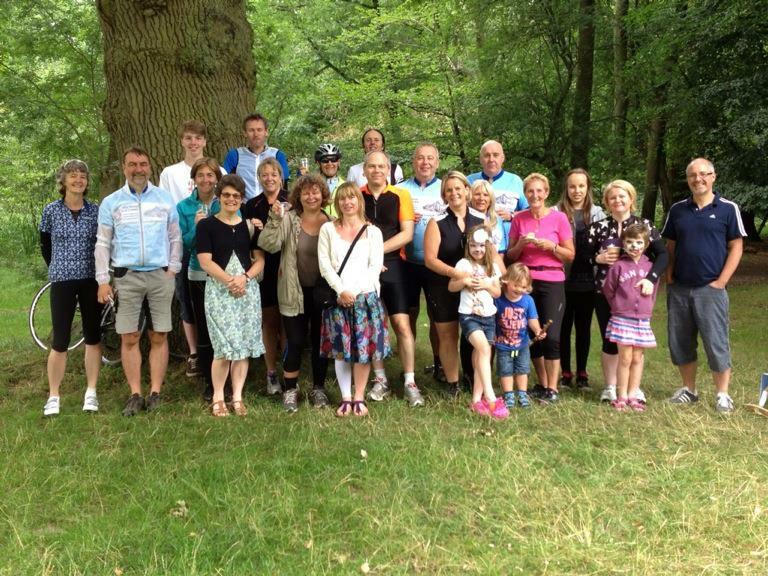 Many thanks to everyone who made the birthday tea ride very special for Elke today. We had a lovely cake stop in the woods at Ashridge with a great bunch of friends. The tea ride enjoying their cake stop in Ashridge today.